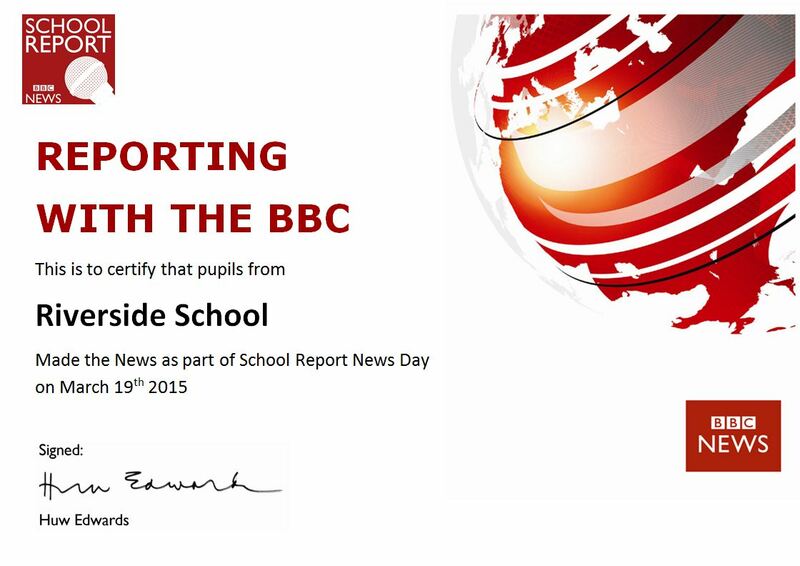 Hello, we are students from Riverside School and were doing a news report on a special topic which would impact our daily life in school as our report is based on our new school that is being built by the River Thames. Us students from Riverside School went over to the new site and we were given interesting information and insight about the site. In this report we will cover the special features of the school, why the project has taken so long to happen and we will explain the details of the school. 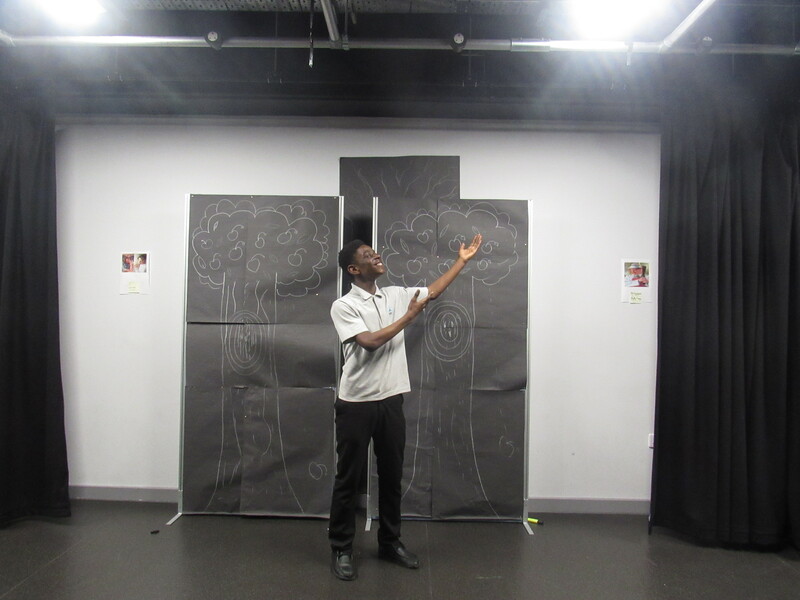 As students of year 8 we were curious of what our head of year thought about moving buildings in September 2017.It was interesting to see the contrasting views as well as the similarities from the point of view between students and teachers. This is his opinion about this…. Can you describe your vision on our school? A beacon of learning where students are valued and are motivated to succeed. Do you think the school will face problems because of the industrial state? I think pollution and litter will be blown over our school so classrooms will have to use air conditioning instead of opening the windows. What in your eyes do you think makes a good student? Driven by their desire to succeed in the future and I should expect they have high aspirations. Also a good student should be self-motivated, can manage time, form own opinions as well as listening to others and is willing to help other people. What makes you enjoy being a teacher at Riverside? I’ve always wanted to lead and before I was a basketballer and I was the captain of basketball and rugby. What is your opinion about moving to the new school? I am looking forward to more classrooms and more space outdoors. I am looking forward to new challenges. 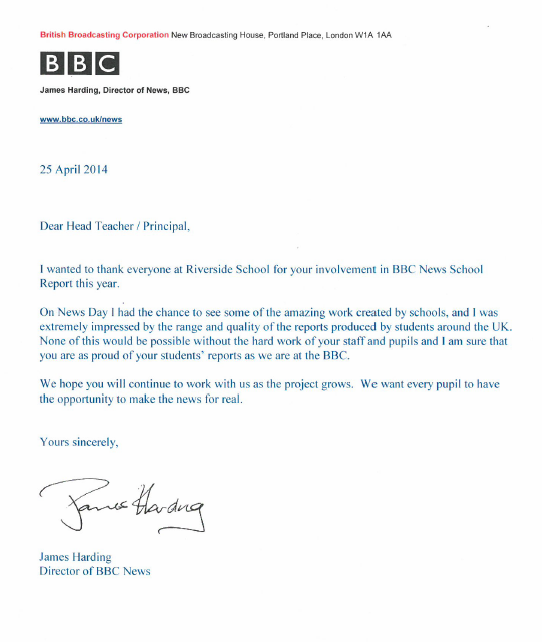 Is there anything you would change about Riverside School? I want to see some food improvements, I also want a point system that links to house awards, and I also want to awards students. What do you think makes Riverside special? I think it is seeing the students enjoying coming to school, making friends, watching children learn and building strong relationships with the staff. 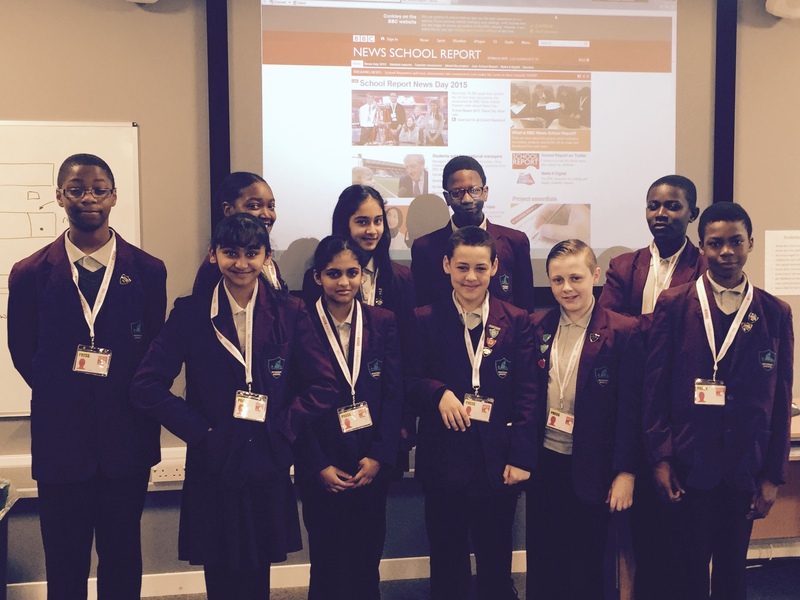 As young reporters we were privileged enough to meet and interview the people behind what could be a huge part of the community .We asked questions on the topic of the new school and we were delighted at the answers. The school will be the largest free school in the entirety of England. It contains a large number of modules which are 18.7 metres by 4 metres. These have been transported from York. While on the subject of transport, the TFL have contributed to the development of that area by adding a bus route to help students who live further. A large area around the school will soon have new residents who can stay in modern, state of the art houses. The school itself has worked hard to create an energy-efficient building; it has LED lights, and has roughly 200 solar panels. With the school being 5 floors high it would otherwise consume a lot of energy which could create more pollution; bearing in mind the school is being built in an industrial area. This helps the environment while effecting costs positively. 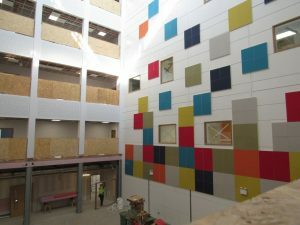 I had a massive opportunity and could take a tour around the new school while it was still a live, working construction site. This tour was outstanding as I was able to see the difference between both sites through the perspective of a student .The contrast between the two buildings was immense. 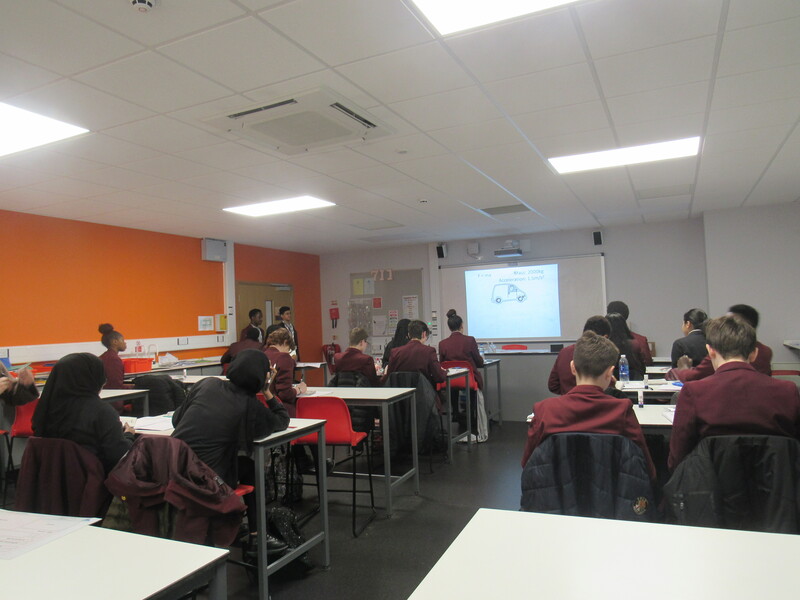 The new school contained many extra subjects and activities with classrooms much larger and more advanced than the small building riverside students currently attend. 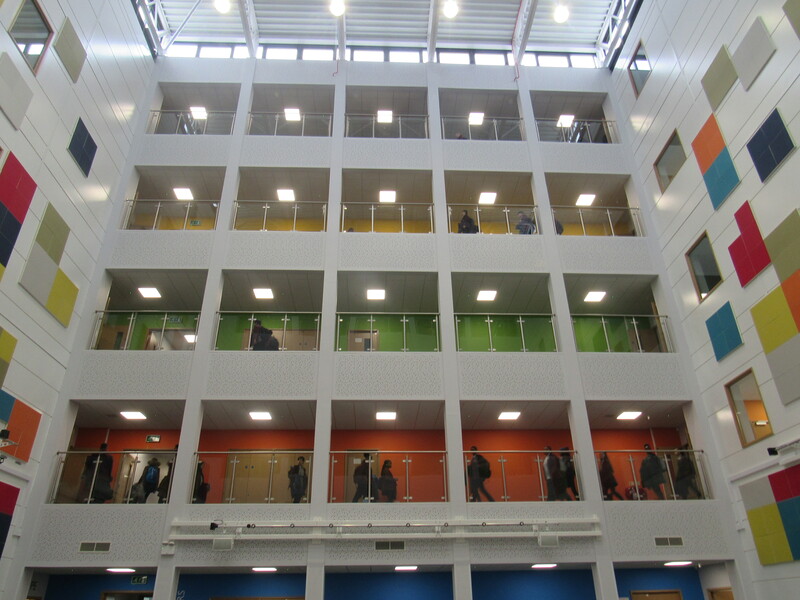 Overall the new school can push people into a bright and hopeful future. In Barking & Dagenham, there is lots of transport, such as buses and trains. However, there is no transport that goes by our new school. Therefore, Barking & Dagenham Council and TFL are making drastic changes. They are making a new train station and a bus that goes to Renwick Road. Barking & Dagenham Council and TFL are making these changes so it is easier for the students at Riverside to make their way to school. The train station project is beginning this year and is scheduled to finish in the year of 2021. The train station will have a track of 1.6 km long. This will be an easy way for people to get to their homes quicker. 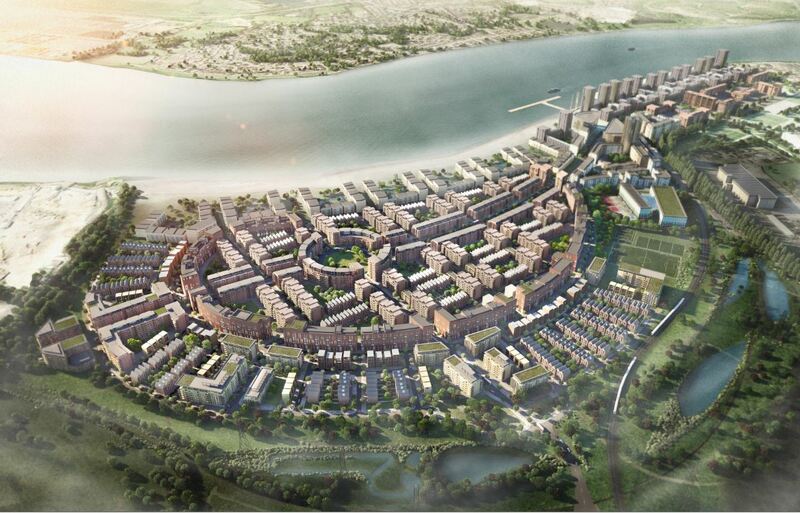 Barking & Dagenham Council are creating 10,800 new homes for people. 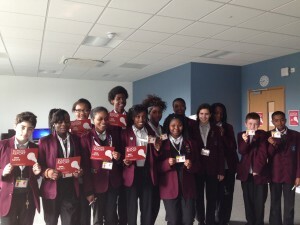 Barking & Dagenham Council are making new people welcome by our new school. 10,800 houses are being built near our new school, which means there’ll be plenty of space for the new community. Also, there will be a £260millon investment into the new London Overground extension that will benefit the new community. This will give many families a new home and school if they have come for far. Also there is going to be a new shopping centre for many people to be entertained and not need to go far to the other shopping centres. The new shopping centre is set to be built on the last 2 remaining power stations in Barking & Dagenham. They are Europe’s market leading modular building innovator across 7 countries. The portakabin group make buildings using modules which make it easier to build. 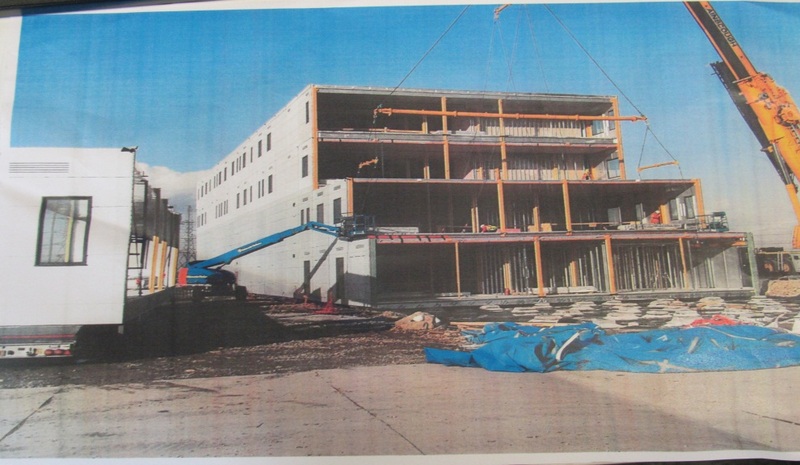 Modular buildings are sectional prefabricated buildings that consist of multiple sections called modules. “Modular” is a method of construction differing from other methods of building. … Complete construction of the prefabricated sections are completed on site. They make buildings 70% than by using normal construction and have a D&B rating of 1. 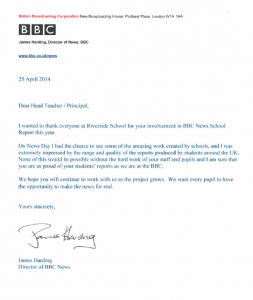 This was the company chosen to make our new school and from the information given I think that this company has been one of the best the school could have chosen. 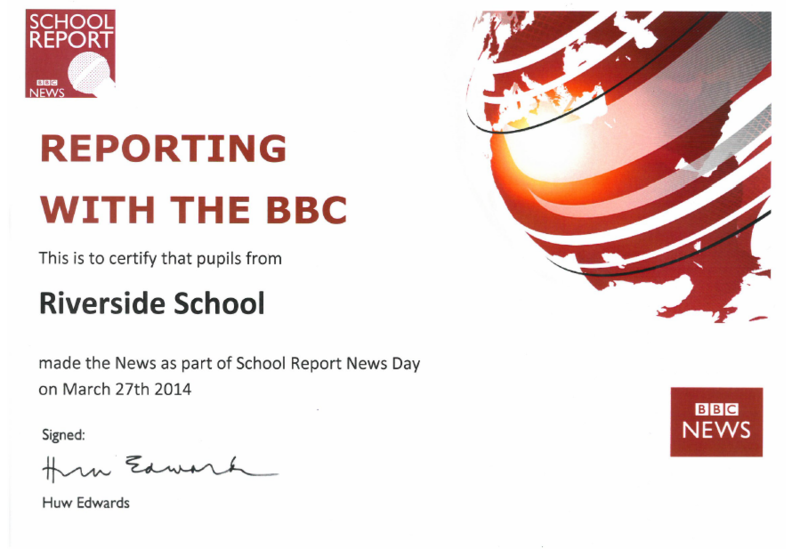 Students from this school will be making the news for real on 19 March 2015 as they take part in BBC News School Report. We aim to publish the news by 1600 GMT on the News Day, so please save this page as a favourite and return to it later. We planned on making two or more articles and interviews to put on the school’s website. It was great fun! We decided to plan our day with a timetable and decided on what topics to select! Team 1 interviewed: Ibrahim, Miss Griffiths, Ilyas and more about lessons and life skills! 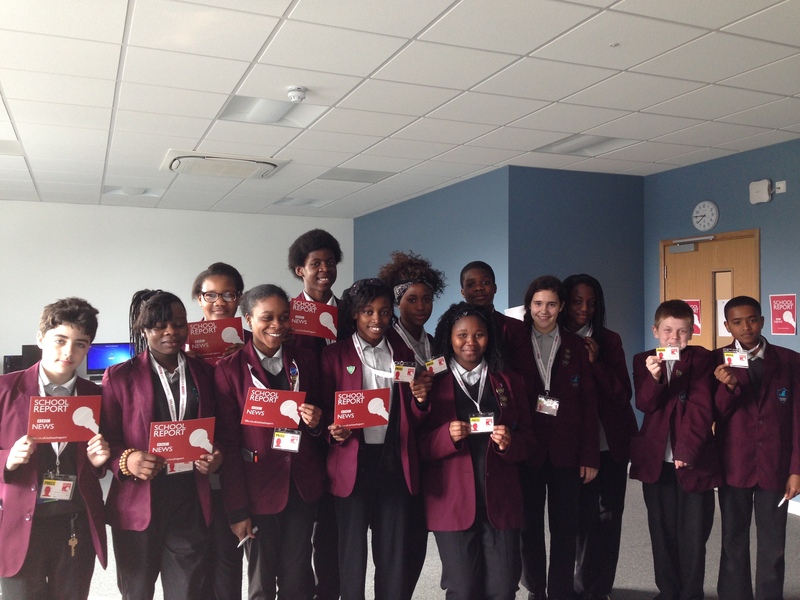 Team 2 interviewed Dattain, Trisha and fellow pupils about the school’s food and if homework helps us to learn! In the end we all agreed that it was great fun and a life changing experience! Students from this school will be making the news for real on 27 March 2014 as they take part in BBC News School Report. In the past couple of years, the building of schools on industrial sites has become more frequent. 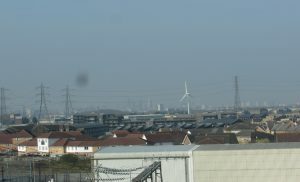 For example, in Barking and Dagenham, Barking Riverside Free School has been built upon marsh land and neighbours a collection of industrial sites. 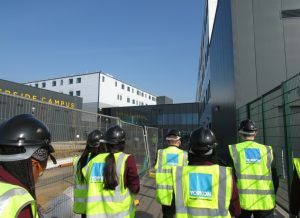 One main aspect that has concerned the board is health and safety and the students’ level of concentration in class whilst industrial work is being performed. The noise pollution from the industrial sites is immense. Also, some of the industrial work releases harmful fumes which can lead to breathing difficulties. Furthermore, although being on an industrial site can cause the students to struggle transportation-wise, it gives the students a chance to experience drastic development and live labour. The majority of students felt that they would not be affected as long as they were not distracted by noise. The industrial sites do not affect this school and this is partly because of the architectural design of the building. From September 2014, many year 9 students will be starting their fast track GCSE in certain subjects such as Modern Languages and Art. Thousands of school children will be sitting their GCSE exams up to two years ahead of schedule this summer. Figures obtained from education inspectors marked a rise in the number of pupils being “fast-tracked” through GCSE exams. These figures revealed a 20 per cent rise last year with the numbers going up to nearly 27,000. 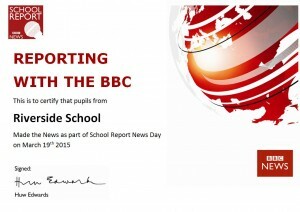 They are expected to top the 30,000 mark (1 in 20 pupils taking the exam) this summer. Most will sit one or two papers, one or two years early with Maths and Technology being the most likely subjects for fast-tracking. As schools go back after summer holidays, you can be sure that recently announced changes to the GCSE exams will be a hot topic conversation in staff rooms across the UK. But what do the changes mean for students who will be part of this scheme? For example, Barking Riverside Free school in Barking and Dagenham is one of many schools that will be taking up this scheme. Do you think that the children are ready? Will there be a change in the level of difficulty for fast track students? Some education experts warn against fast-tracking because they believe it can lead to unhappiness in young children due to emotional and mental stress. However it is also argued that fast tracking can improve the educational maturity in children, and help brighter students excel in their studies. Recently, there has been a discussion about whether school days should be extended from 7.30am to 5.30pm. This discussion also includes students attending school on Saturdays. There has also been another suggestion about the shortening of holidays (from 13 weeks to 7 weeks a year). 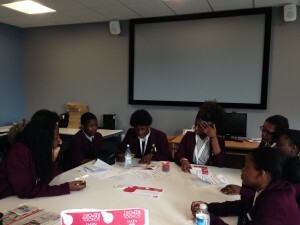 These programmes are meant to help students academically and help their communication with other students as they will have more time with others. As a result to this process, students will not be able to spend as much time with their family due to the early hours they are forced to wake up at and the lateness of their arrival home. Furthermore, teachers will have to work extra hours and the government will have to increase teacher’s salaries which will be deducted from other activities and services. Do you think if the school timetable changes from 8:30am-3:00pm to 7:30am-5:30pm your salary should be increased? Posts, status updates, comments, instant messages, video uploads, tweets, and texts have become a regular part of our kids’ lives. In today’s 24/7 social networking world, kids are logging on from everywhere, including smartphones, gaming devices, tablets, and laptops, and many parents simply do not know what their kids are up to, as well as being oblivious about the social media they are using. Do you actually know what your child is up to? 67% of 12-15 year olds are using activated accounts on social media such as: Facebook, Twitter, Instagram, YouTube, and Tumblr. This is just a selection of social media accounts that are being used daily by children under the legalised age. 85% of parents that have children from the age of 8-15 do not know that their child have social networking accounts. One main question that has been floating around is: “How do social networking sites affect your child’s school performance?”1 in 5 parents believe that social networking websites are responsible for a drop in their children’s school grades. A poll by internet security services found that children spend an average of 2 hours a day on sites like Facebook, Twitter and Myspace with 20% of 4,427 adults claiming it had a big impact on school grades.